There are many people who love the area known as Transylvania, and there is so much history with this place that it is almost impossible not to have things to write about when it comes to Romania, or Transylvania. 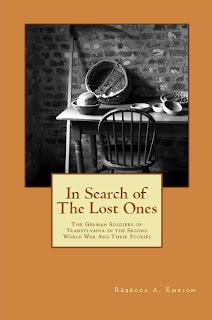 For those who don't know that I love top ten lists, here are a few things about Transylvania. 1) Transylvania is found in Romania. Before 1919, it was a part of Hungary. 2) Many cities in Transylvania were built by the Romans, who invaded the Kingdom of Dacia, to expand their Empire and to gain more natural resources. 3) Some of the cities in Transylvania were founded by different cultures, and still retain that flavor. For example, Transylvania is called Siebenburgen by the Germans of the area. 4) During the Paris Peace Conferences of 1919, the Romanians wanted Transylvania as a part of Romania. Once this happened, the Kingdom of Romania doubled in size with the new territory. 5) Queen Marie and King Ferdinand of Romania were crowned in Alba Iulia, in 1922. This was the city Michael the Brave entered when the three principalities of what would become Romania united for a time in 1599. 6) For much of the recent past, Transylvania has been a part of the country of Romania. Before that time, it was a part of the Kingdom of Hungary or the Austrian Empire. 7) The most famous natural resource Transylvania has is gold. Queen Marie's coronation crown was made of gold mined from Transylvania. 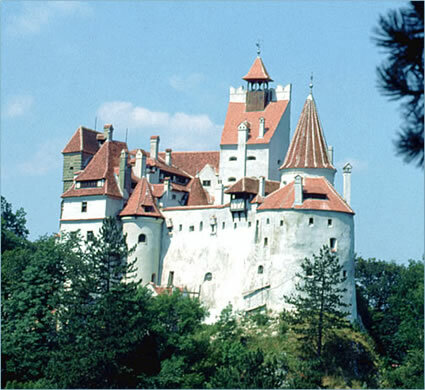 8) There is a castle in Transylvania which was made famous by Bram Stoker. Some call it Dracula's castle, but most people know it as Bran Castle. There are many people who write about Transylvania. 9) Much of the revenue that Transylvania generates comes from its natural resources and also its tourism industry. A popular destination is Bran Castle, but there are countless other castles and fortresses and cities to see. 10) Most of what people consider to be a part of Transylvania actually isn't; there are smaller areas, for the example the Banat, which are not a part of Transylvania proper, but some still refer to them in that way.